This article may reference financial products from a multiplicity of our advertisers who may compensate us when you click on links to their products. To learn more, please visit our Advertising Policy page. The American Express Premier Rewards Gold Card is designed for the frequent traveler who wants to avoid the hefty $450 fee associated with premier cards like the Chase Sapphire Reserve Card but still wants generous travel benefits. No fee is applied for the first year and you earn 3x Membership Rewards® points on flights booked directly with airlines. Plus, you earn 2x points at U.S. restaurants, gas stations, and supermarkets, as well as 1x points on all other purchases. 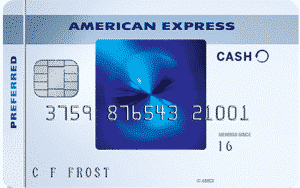 Amex waives your annual fee in the first year but thereafter the cost is $195 annually. You also receive a $100 Airline Fee Credit each calendar year. And although you can’t use this to pay for flights, you can use it to pay for incidental costs like baggage fees. The Premier Rewards Gold Card is a charge card so, unlike a credit card that permits the balance to roll forward monthly, you will need to pay your balance in full each month. 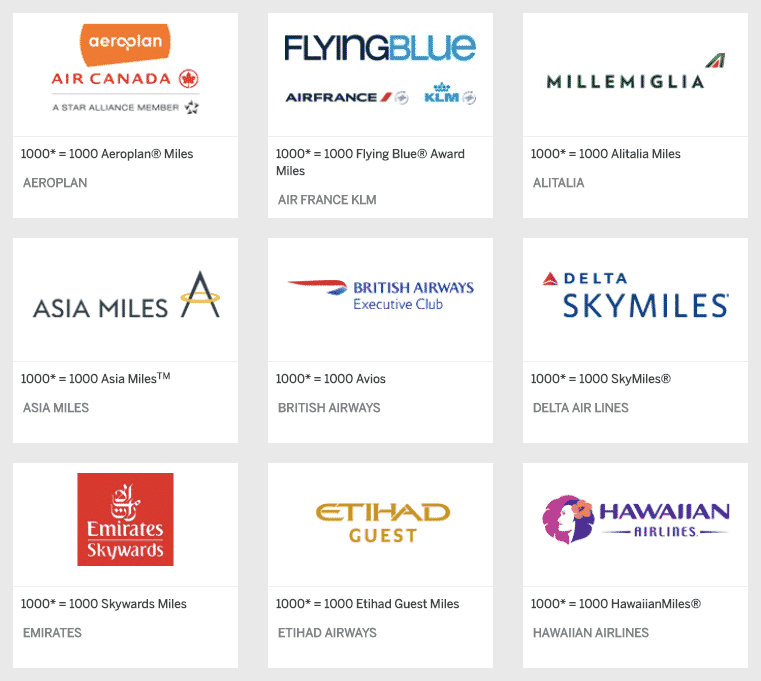 Where the Amex Premier Rewards Gold Card really shines is the Membership Rewards Program featuring bonus rewards points on airfares on partner airlines. 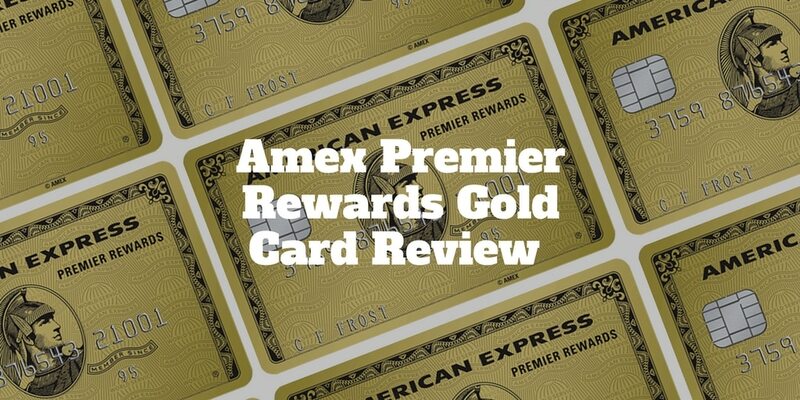 Is The Amex Premier Rewards Gold Card Right For You? Did Your Warranty Run Out? How Does The Premier Rewards Gold Card Stack Up? How Much Are Membership Rewards® Points Worth? One of the best perks of the Premier Rewards Gold Card is the opportunity to earn 3x points on flights booked directly with airlines. Keep in mind that flight bookings through third party providers like Expedia, Kayak, and Orbitz will not qualify. Another attractive feature for frequent travelers is that foreign transaction fees are waived. Plus, you earn 25,000 points as a sign-up bonus after you spend $2,000 within the first 3 months. This bonus translates to $250 when redeemed for flight expenses through Amex, meaning your first full annual fee is entirely covered. Gold Card Right For You? 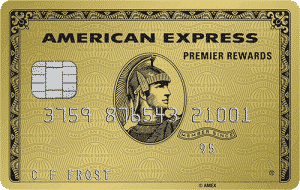 The American Express Premier Rewards Gold Card provides a good mix of benefits for the annual fee. The Premier Rewards Gold Card may be a fit for frequent travelers who expect to spend around $3,334 or more annually. When you multiply $3,334 * 3x points (which you receive when booking directly with airlines), you arrive at about 10,000 points which translates to $100. And since you receive a $100 Airline Credit Fee already for incidentals like baggage fees, the full annual cost of $195 is covered by combining the two amounts with a few bucks left over for a cappuccino. The Amex Premier Rewards Gold Card is best for people who tend to pay off card balances regularly each month because it is a charge card, meaning the full balance needs to be paid off every month. American Express provides a Pay Over Time feature to some customers but don’t rely on that to extend your payments. If you think there is a risk that you won’t be able to pay off your balance regularly then a credit card may be best. If you venture to foreign lands as part of a frequent travel schedule, the Premier Rewards Gold Card is well worth considering because foreign transaction fees are non-existent. When you transfer your Membership Rewards, you can choose to enjoy more luxury or extend the value of your points. For example, when you transfer your points to the KrisFlyer program by Singapore Airlines, you could enjoy a premium class experience. Other airline programs will give you the chance to book economy flights with miles that could get you from one coast to the other of the United States for surprisingly few miles. When you redeem points for concerts, sporting events, or theater events, your points don’t generally go as far. For example, when you buy tickets through Ticketmaster or AXS, you will be able to convert each 10,000 points to just $50 of value. You can transfer Membership Rewards points to Starwood Preferred Guest, Hilton Honors, and Choice Privileges. Hilton Honors has the most favorable conversion ratio while Starwood Preferred Guest has the least attractive. You can view a full listing of how your Membership Rewards points convert to travel when booking through the Amex Travel portal later in this article. But for the most part, flights booked through Amex Travel will convert on the basis of 10,000 points equating to $100. Booking hotels, cruises, and vacations booked through Amex Travel isn’t as favorable because 10,000 points gets you $70 worth of value. If you are living or visiting New York, your points can be used for New York city taxis whereby 10,000 points are worth $100. You can even use your points for charitable giving using the MembersGive℠ program. The first 500,000 convert at a rate of $100 per 10,000 points. In excess of 500,000 points, the conversion rate drops to $50. The Premier Rewards Gold card comes with generous benefits for the annual fee. One of the best perks of the Premier Rewards Gold Card is the $100 annual airline fee credit. This credit does not apply to flight costs themselves but it does apply to incidental fees like baggage fees. You should see credits for qualifying purchases show up within 4 weeks on your statements. You receive a $75 credit to spend on qualifying dining, spa & resort activities. In addition to the hotel credit, you get 2x Membership Rewards® points on prepaid bookings. 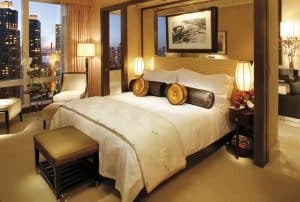 Plus, you enjoy room upgrades at check-in if available. No matter where you travel abroad, you will enjoy the benefit of no foreign transaction fees when you charge purchases to your Premier Rewards Gold Card. Eligible lost, damaged, or stolen baggage is covered under the Baggage Insurance Plan up to $500 for checked baggage and $1,250 for carry-on baggage. New York State residents are covered to an aggregate maximum limit of $10,000 for all Covered Persons per Covered Trip. The Amex Premier Rewards Gold Card comes with around-the-clock emergency roadside assistance if you need to jumpstart a battery or change a flat tire. You also enjoy towing assistance for up to 10 miles. The premium roadside assistance is available up to 4 times per year, even you use it in your driveway. For example, if you come back from vacation and discover the car won’t start, you can give Amex a call to request roadside support. To save you the hassle of making travel arrangements, you will also receive a Personalized Travel Service to help you book flights, schedule ground transportation, or book hotels. However, fees apply when you use the service for booking air travel. When you pay for an eligible rental car, you can still receive coverage in the event that the car is damaged or stolen even if you decline the collision damage waiver at the counter. This coverage does not extend to car rentals in Australia, New Zealand, and Italy. Plus, some exclusions apply so it’s worth double checking ahead of time. The rental car coverage provided by Amex does not extend to liability coverage. When you travel more than 100 miles away from home, you have access to this Global Assist Hotline. Along with travel and rewards benefits, the Premier Rewards Gold card comes with Shopping and Entertainment benefits. One of the nice perks of the card is the Purchase Protection you enjoy when your purchases are damaged, stolen, or lost. The coverage is for up to 90 days and capped at $50,000 per year and $10,000 per occurrence. When you buy something that a merchant won’t take back, Return Protection may cover you for eligible items for up to 90 days. You are limited to $300 per item and $1,000 per calendar year. Only purchases made in the United States and its territories qualify for coverage. When you buy an item with your Premier Rewards Gold Card that has a warranty, you are eligible for extended warranty coverage that matches the term length you already enjoy up to a 1 year limit. The items must already come with an original U.S. manufacturer’s warranty of up to five years or less. And coverage is limited to $50,000 per calendar year and $10,000 per item. At over 140 online stores, you are eligible for free 2-day shipping with Shoprunner. Whether concert tours, Broadway tickets, or sporting events are your thing, Card Member-only events with exclusive access to ticket presales are a complimentary benefit of your card. Based on availability, you can gain access to premium seating at select cultural and sporting events. Compared to the Barclaycard Arrival Plus® World Elite Mastercard® and the Blue Cash Preferred® from American Express, the American Express Premier Rewards Gold Card shines with its annual travel credit of $100 for incidental fees and 3x rewards rate when booking directly with airlines. If you travel less frequently but spend more heavily at grocery stores, the Blue Cash Preferred® card from American Express may be a better fit. 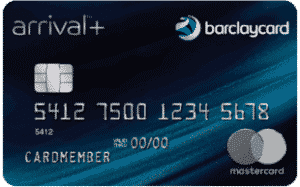 The Barclaycard Arrival Plus® World Elite Mastercard® competes well with the American Express Premier Rewards Gold Card because both charge zero transaction fees and the rewards rate is double the industry rate. Plus, both cards waive the annual fee for the first year. ✅ High Rewards Rate: Earn 3x rewards when booking directly with airlines, 2x rewards at supermarkets, gas stations, and restaurants, and 1x rewards on all other purchases. ❌ Ongoing Annual Fee: After year one, the annual fee is $195 though if you travel frequently you can likely offset $100 of that with the airline travel credit. ✅ $100 Airline Credit Fee: The airline credit fee can be counted against incidental fees like baggage fees. ❌ Late Fees: A $38 late fee or 2.99%, whichever is greater, applies to late payments. ✅ No Foreign Transaction Fees: When traveling abroad, no foreign transaction fees apply. ❌ Payment Acceptance: American Express isn’t as widely accepted as Visa and Mastercard. ✅ $75 Hotel Credit: Qualifying charges enjoy a $75 hotel credit as well as a free upgrade upon checking in where available. ❌ Only Good Credit Users: Cardmember credit ratings usually need to be good → excellent in order to be approved. ✅ $0 Fee In 1st Year: The annual fee is $195 after the first year but new cardmembers enjoy a $0 fee in the first year. ✅ Sign-up Bonus: Earn 25,000 Membership Rewards points after spending $2,000 in first 3 months. ✅ Interest Rate: Because the Premier Rewards Gold Card is a charge card, an interest rate does not apply as long as the balance is paid off in full each month. ✅ Personalized Travel Services: Receive a Personalized Travel Service to help you book flights, schedule ground transportation, or book hotels. ✅ Extensive Network Of Transfer Partners: You can transfer your points to a wide variety of partners and stretch your points even further. You will be charged a “returned late payment fee” of up to $38 and late fees of $38 or 2.99%, whichever is higher. Plus, the annual fee is $195 after the first year, which is free. The Premier Rewards Gold Card by American Express is best for cardmembers who travel frequently. If you travel on planes often, the $100 airline credit fee can be used to offset incidental travel fees like baggage costs, airport lounge day passes and in-flight refreshments but you can’t use it to book flights directly. Once you arrive at your destination, you will pay no foreign transaction fees abroad. Another nice perk of the Premier Rewards Gold Card is the credit of $75 on dining, spa, and resort expenses when you spend at least 2 consecutive nights at a hotel that is a part of an American Express Hotel Collection. When you book directly with airlines, you earn 3x points and can transfer Membership Rewards to an extensive network of hotels and airlines, which can often be exchanged on a 1:1 basis. Plus, the sign up bonus of 25,000 points and $0 intro annual fee makes the card compelling for frequent travelers. Keep in mind the balance must be paid off monthly as the Premier Rewards Gold Card is designed as a charge card so late fees apply if you don’t pay off your full balance. To keep things simple, let’s say you had 10,000 Membership Rewards® points that could be used towards gift cards, shopping, travel, entertainment, point-of-sale, or even charity, how much are they worth in each category? Somewhat surprisingly, an American Express Gift Card can only be converted to value of $50. If you’re an adventurer, points can be converted a wide range of experiences including to ski resorts. When you shop at popular online retailers, you can use your points too.